national traditional Russian dish - okroshka on a plate spinning on a wooden background. cooking okroshka. 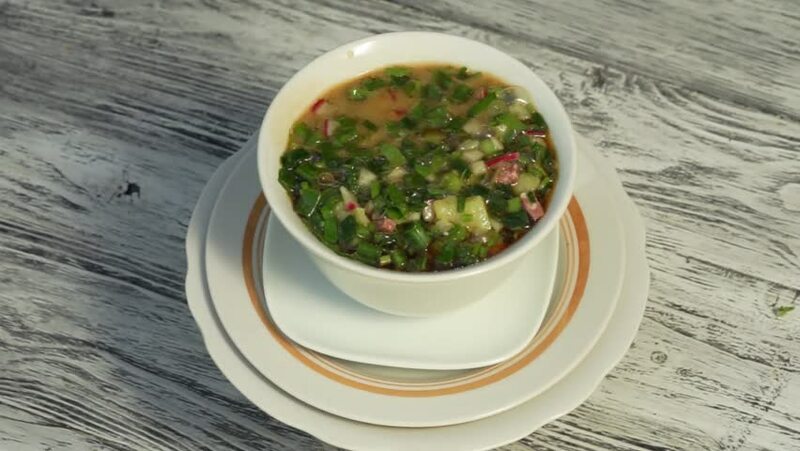 4k00:09Plate of Georgian Traditional Khashlama Soup with Meat and Greens on a Wooden Table in a Restaurant. Close-up. Georgian cuisine. hd00:14Zooming out and zooming in yellow lentils or Arhar daal, and Indian lentil soup.